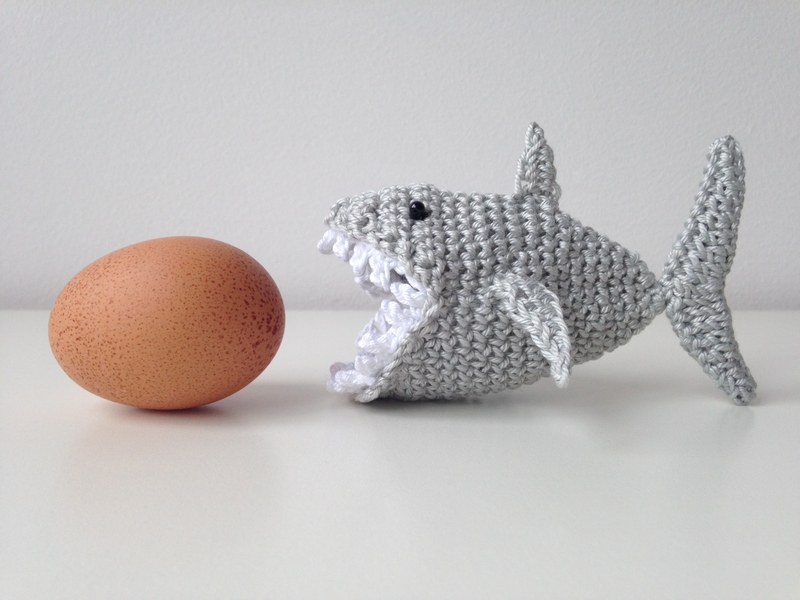 Before I share this week’s “Treasury Tuesday”-list with you, I’d like to show you my shark egg cosy first …..
You might remember this was one of my favorites from last week’s TT-list, in fact so much so that I bought the pattern and made my own shark. 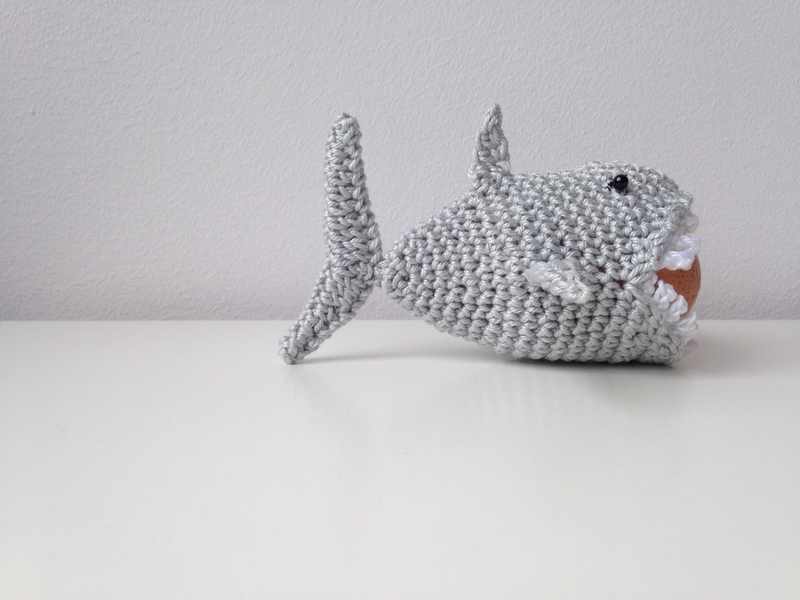 I had a big smile on my face the whole time I was crocheting him (her?). So, so much fun to make and I love how he’s turned out! 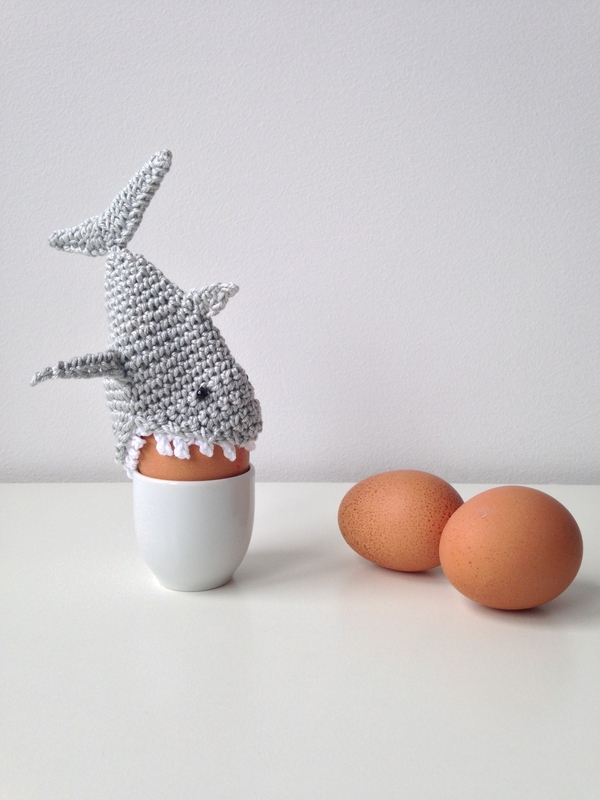 Anyway ….. sticking to the Easter/Bunny/Egg-theme for today’s “Treasury Tuesday” – plenty of time to make something Easterish/Springy with 25 days to go before Easter is upon us! I know a little girl that would love to have this “Hello Kitty”-basket ……..